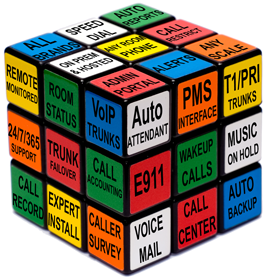 Voiceware Hospitality PBX installed by Technology At Work solves your hospitality PBX puzzle. BUILT FOR HOSPITALITY - Designed and manufactured by PhoneSuite, Voiceware is specifically built for today's hospitality communication environment, Voiceware is a proven solution that has been engineered to be extremely feature-rich, scalable and flexible, meeting the ever-changing needs of hotels. EVERYTHING INCLUDED - Traditional hospitality PBX systems require additional hardware for voicemail, auto attendant, call accounting, call recording and music on hold. But Voiceware has all features in one integrated package, at no additional charge, saving money and space. FLEXIBLE CONFIGURATION - As Voiceware is software, there are various hardware combinations to match the needs of any property. Supporting all industry standard VoIP phones, Analog Telephone Adapters and Gateways, selecting Voiceware provides an evolution-proof installation. 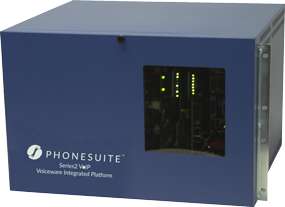 SCALABLE HARDWARE - When paired with PhoneSuite’s Series2 Voiceware Integrated Platform, low cost analog guest room phones are supported, providing an easy upgrade path without wiring changes. Built with the latest technology and modular construction, the Series2 packs up to 240 analog lines into one cabinet. Taking integration one step further, the Series2 also houses Voiceware server hardware, T1/PRI trunks and analog trunks. 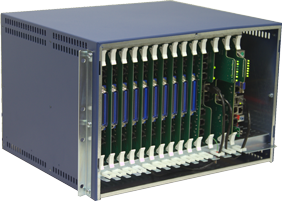 If you need more than 240 analog phones or have several wire centers, multiple Series2 cabinets easily combine to form a nearly limitless infrastructure that can link floors or buildings via copper, fiber and network.